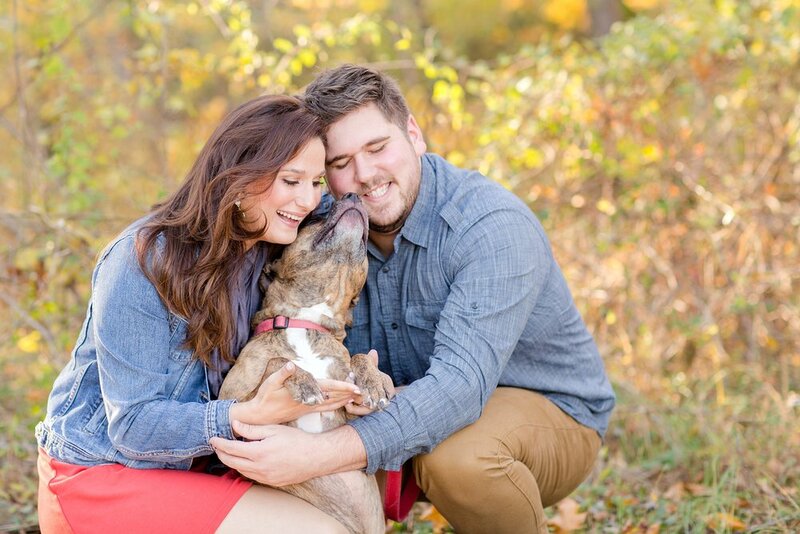 Another fall engagement with an adorable pup! 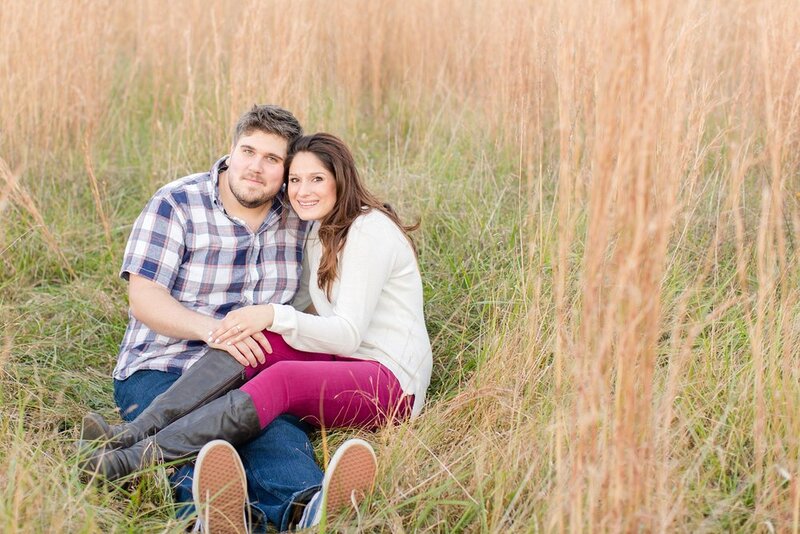 Greg & Rebecca met through church and are getting married next fall at Walker's Overlook. 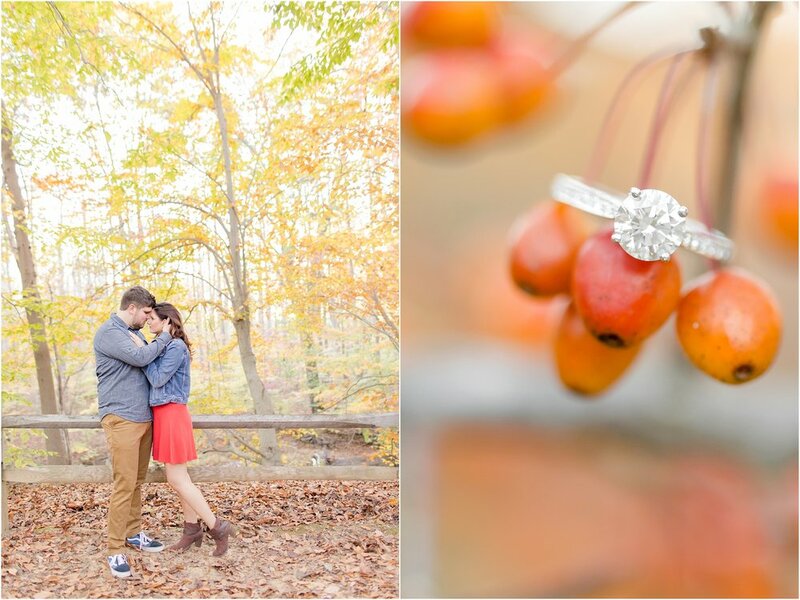 We went to Jerusalem Mill for their engagements session and the trees were beautiful! Fall weather is my favorite. 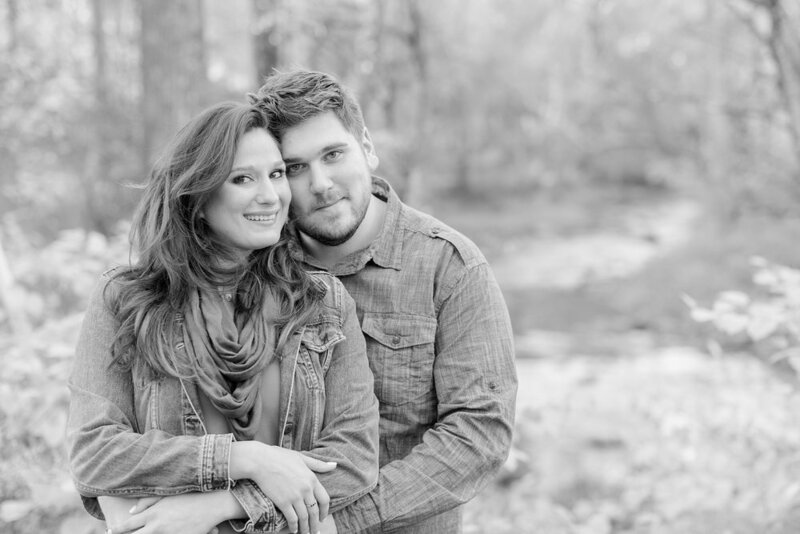 Here is their love story from Rebecca's perspective! Greg and I have been together for 4.5 years now! 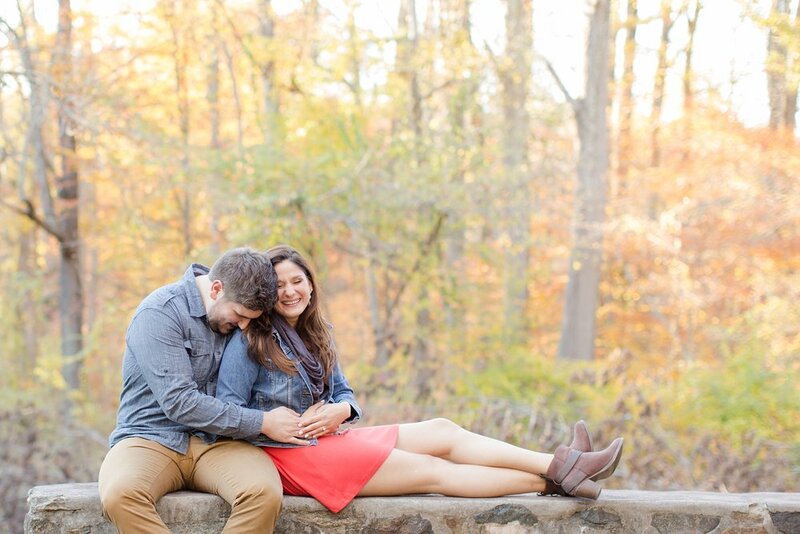 We first met when I was a senior in high school and he was a sophomore at Towson University. 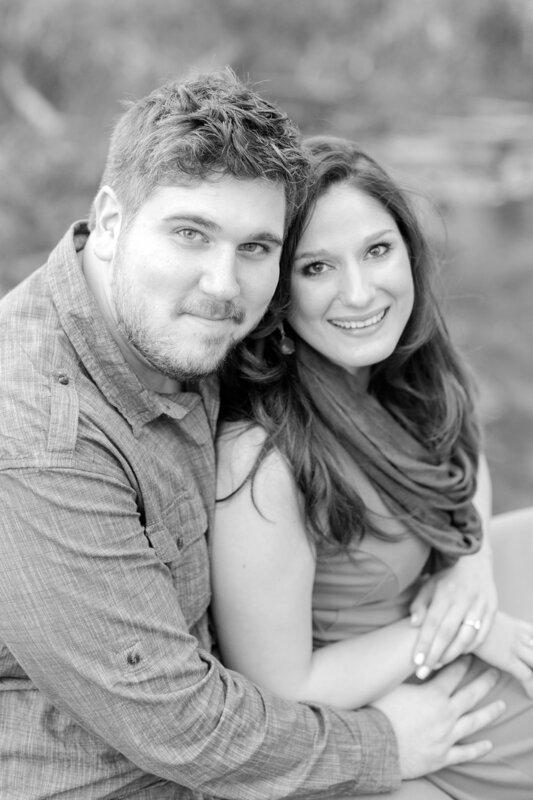 He had moved from his home in NJ to Towson to study occupational therapy. He wanted to find a church home so he started going to Central Presbyterian (my church since childhood!). He started college group bible study (called 1824) with my older sister, Sophia. Meanwhile, I was in senior year, sad I couldn't be in 1824 yet! I met Greg at church, he was hard to miss in the crowd. Being tall and dressing all hipster-like, he stood out to me! Greg and I started getting to know each other more when I could be in 1824. We flirted in nerdy ways, by quizzing each other in the muscles and bones of the body. I was studying nursing and loved that he helped me study! We also hung out at 1824 events including .bowling, summer volleyball, and cookouts. It wasn't until I was a sophomore in college that he asked me out! We shared our love for music, movies, our school majors, animals, and taking care of people. Greg and I both had college jobs working with kids with special needs. It's something we both really connected with. I loved his heart for others and the way he made me laugh. It wasn't until our 1824 winter retreat in Feburary of 2012 that we both shared our feelings of liking each other! Since then, we have remained together through a lot. We love sharing our lives together and I really feel like we bring out the best in each other! It was perfect for us! On July 1st we went on a hike to Rock State Park (a regular hiking spot, being close to my parents) with my younger sister Olivia and her boyfriend Michael. Olivia had planned the hike with me, which I later found out Greg told her to plan it so I wouldn't suspect a thing. I had no clue it was coming because it was a typical thing we would do. Hiking is one of my favorite things! We hiked through the woods and got to Kilgore Falls. Greg said, let's get in the water and walk right to waterfall. Just then, the sun was finally coming out more! Olivia said she would take a picture of us at the waterfall. As she was taking pictures, Greg got on one knee (waist deep in water!) and proposed! He had the ring in an altoids container in his gym shorts pocket so I wouldn't notice. Of course I said yes, and cried! 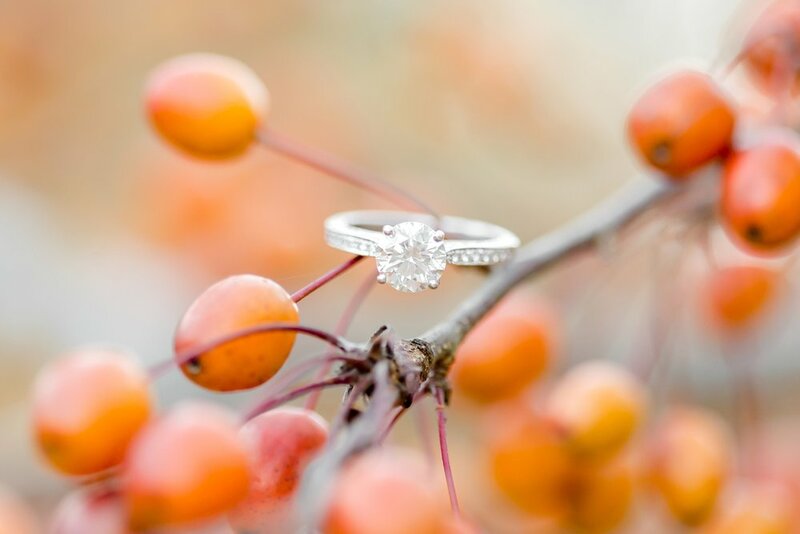 And we wanted to start our engagement off with a "bang" so he carried me in the waterfall (freezing!). I was so impressed with Greg planning it all out. We walked around and took pictures with our clothes are dripping wet! As we were driving back home, I wanted to call Greg's parents to tell them the good news (they had been waiting forever for this). Greg and Olivia kept saying "no, just call them later" and I was so confused of why. Well, we get to my parent's house and Greg's whole family and mine were there to greet us with an engagement party! We enjoyed the whole night with both sides of the family. Greg's family came from NJ (his hometown), just for this! We had champagne, grilled tons of food, and laughed and enjoyed each other. I was so happy. 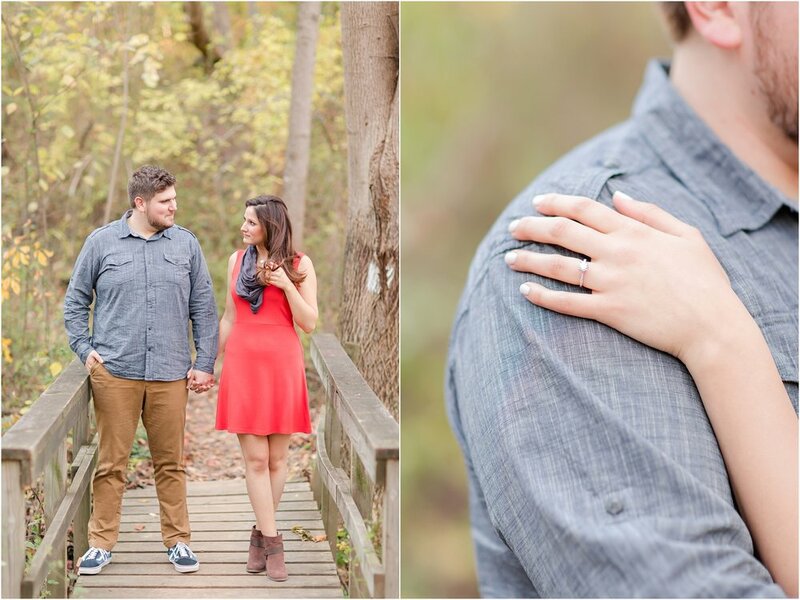 Greg knows that being with family is a huge importance to me, and he honored that in how he proposed. 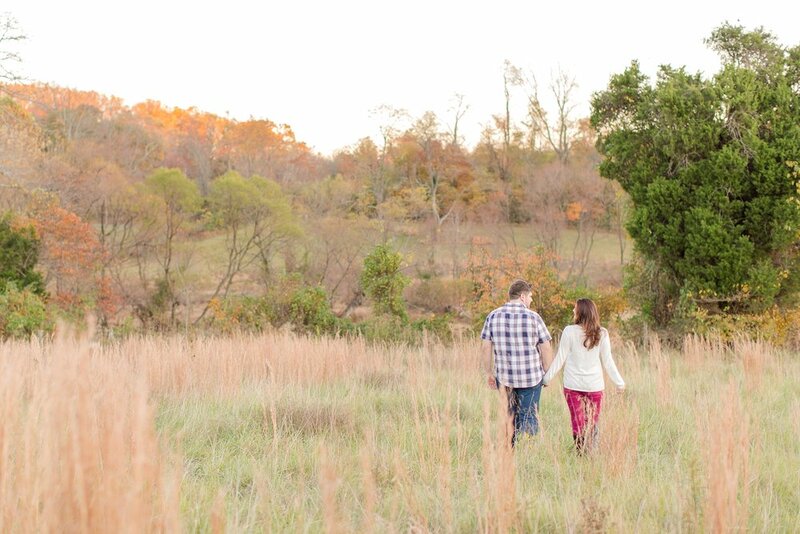 Enjoy these images from Greg & Rebecca's engagement session! 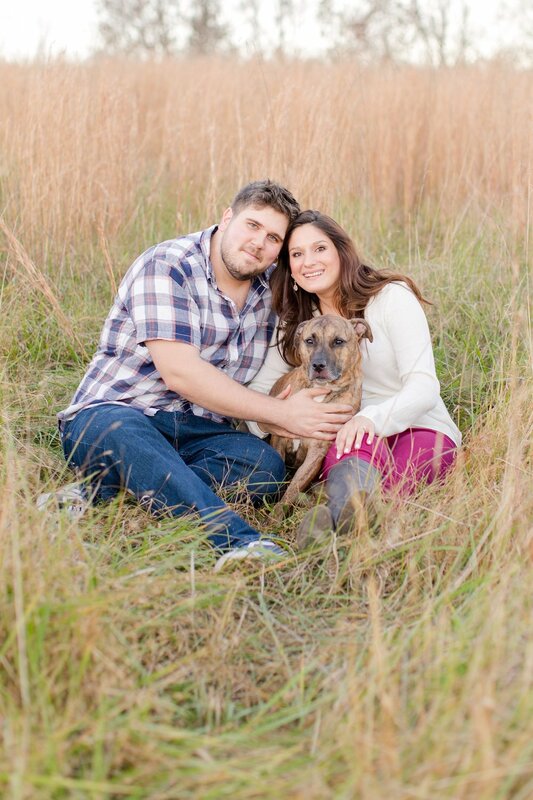 Thanks to Rebecca's sister for helping out with the pups, it was perfect. Can't wait for the wedding next fall! 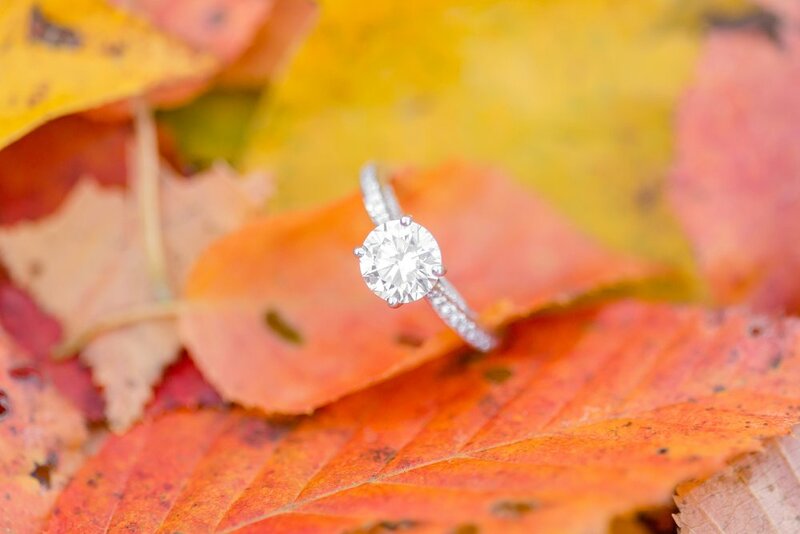 Want to see another fall engagement? 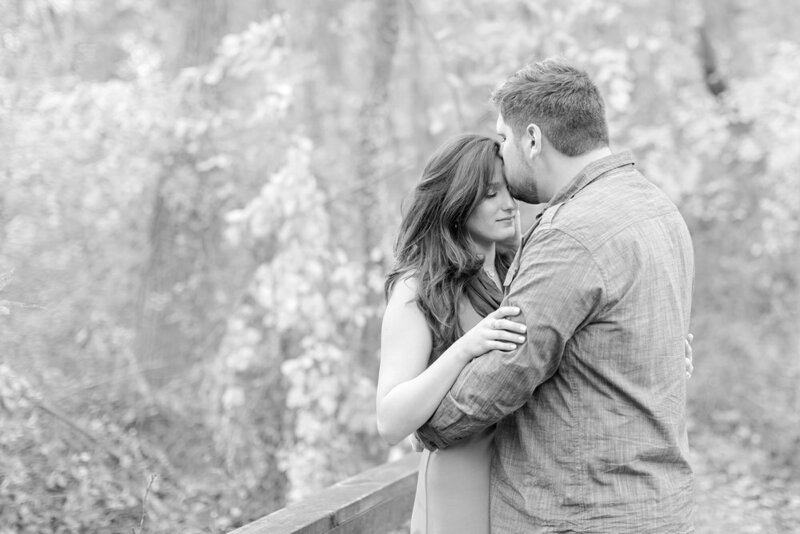 Check out Mike & Missy's engagement session at Swains Lock!